It's baby overload at the factory. You'll need to help out by taking care of these babies as fast as you can, but be careful. Mess up three times and you're fired! Score as many points as you can in one minute. Each baby needs just the right amount of care, but too much and you'll upset them. Make them happy to earn points. Otherwise, you'll get a strike and lose points. The doctor will teach you how to take care of these babies with an easy-to-follow in-game tutorial. 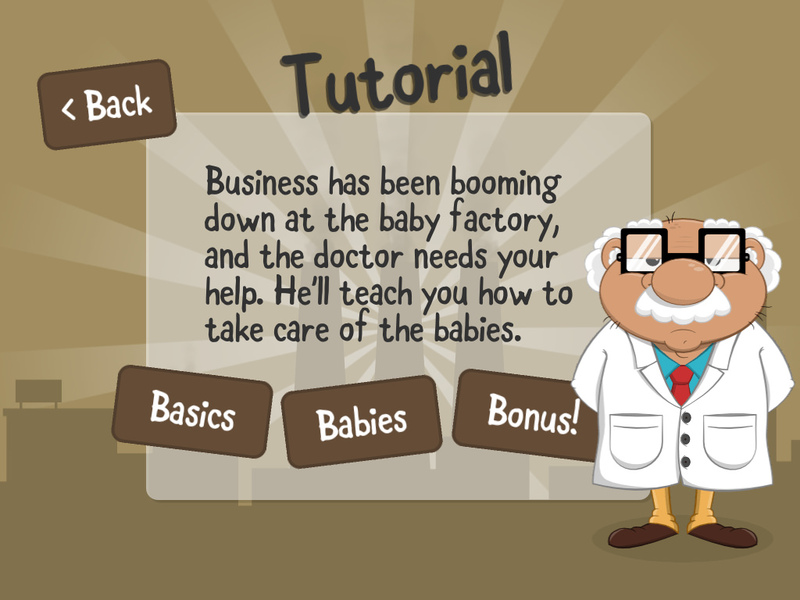 Learn the basics of the gameplay, how to take care of each baby, and how to score bonuses. To earn a bonus take care of the babies without messing up before the bonus timer runs out. You'll earn one of three bonuses to help increase your score: +5 points, -1 strike, or +3 seconds! 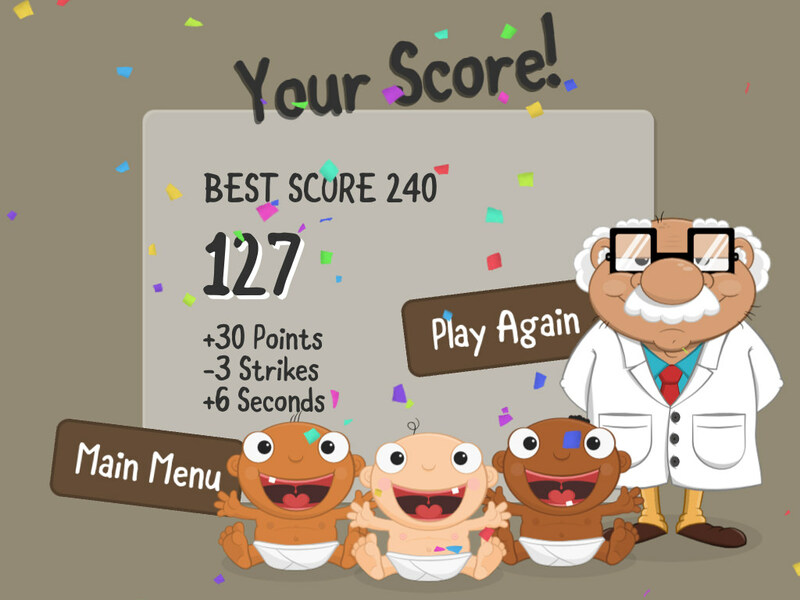 Try to earn the most points before the game timer ends, and compete against your friends and family for the best score.